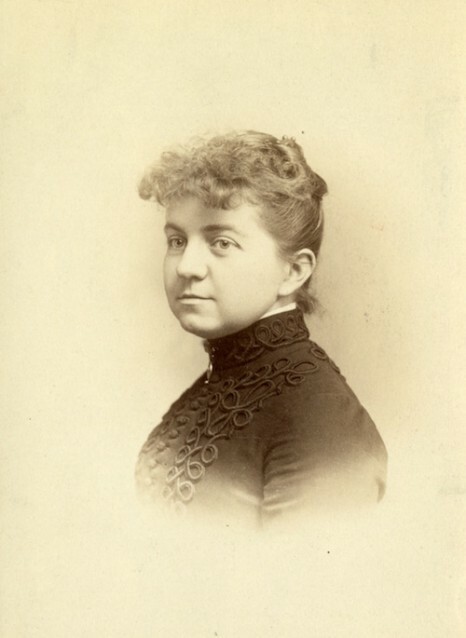 As one of the first three women admitted to Middlebury College, and as the first woman to graduate in 1886, May Belle Chellis’ presence and accomplishments forced the trustees to make accommodations for women to attend the College. She developed a special curriculum, designated dedicated study and living space, and demanded awards for scholarship. “The faculty were not going to require us to do the regular work that the boys had,” Chellis reminisces, “but [May Bolton, Class of 1887, Louise ‘Daisy’ Edgerton, Class of 1887, and I] insisted that we ought to do it just the same.” Chellis captured the highest rank in Greek at the end of her freshman year, graduated Phi Beta Kappa, and delivered her essay “The Growth of Criticism” at the 1886 Commencement.